Indraprastha Apollo Hospitals have recently acquired the 64 Slice CT Angio System for Advanced Cardiac and Whole Body Imaging. The state of the art imaging system provides high quality precise imaging fro head to toe making it possible to detect abnormalities in any part of the body. 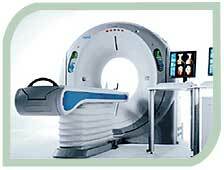 Its high speed of scanning reduces exposure time, thus reducing patient discomfort during the imaging procedure. The Quantum Detector Design delivers 64 simultaneous acquired 0.5 mm thin slices facilitating isotropic data sets throughout the anatomy. The 64-slice data acquisition in cardiac scans implies that the entire heart can be covered in a few heartbeats. This enables an optimal match of the heart rhythm with the data acquisition providing the highest temporal resolution. A range of comprehensive applications are specifically designed to provide the highest productivity and the best image quality at the lowest possible X-Ray dose. The 1.8 m scannable range of the couch accommodates the whole body scanning of trauma patients without repositioning. Please note: The cost of Medical Treatment can change without prior notice. 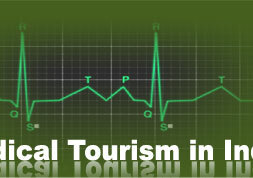 The duration of Medical Treatment can change as per case-specific requirements. 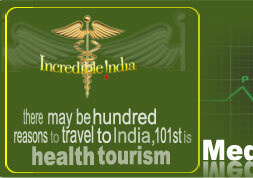 India Profile offers Medical Tourism in India, in association with Indraprastha Apollo Hospitals. For more information please enter your query in the form.